About the photographer: Mida comes from a Karen village located in the Mae Wang district of Northern Thailand. She spends most of her time in her village where she can be with her two year old son, Warinton. Her mother, Si Taun, and the other women of the village spend most of their time weaving scarves and other items, which can be sold to western tourists. Mira took these photos as a part of the "Women at Risk of Trafficking in Thailand" programme. 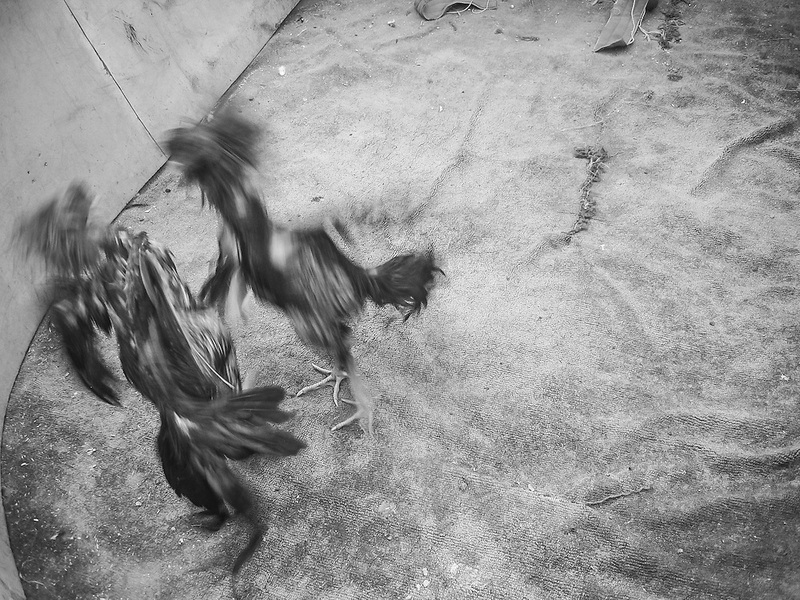 This is a chicken fight in the village. Mida enjoys taking photographs of life in her village.